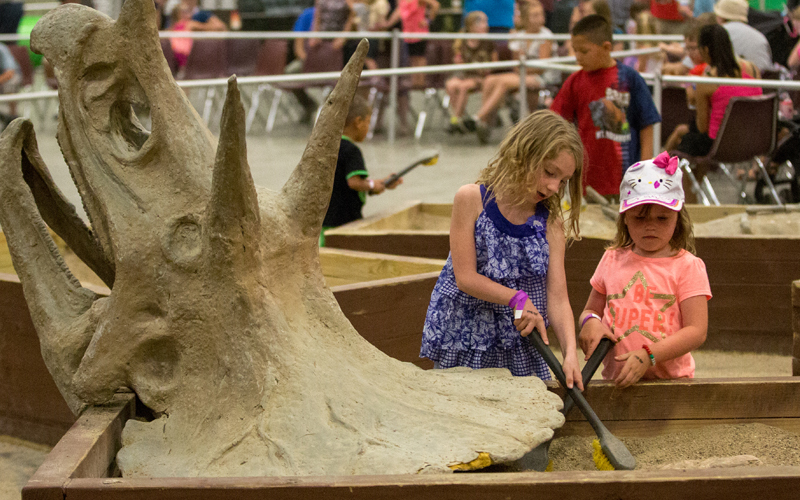 Young Paleontologists can uncover huge triceratops fossils, T-Rex fossils and more. Unearth million year old secrets just like a real paleontologist! © 2018 Jurassic Quest Inc.